When your time in the military comes to an end, there are always a lot of things that need to be done. The adjustment to civilian life can be challenging, and one of the biggest things on your to-do list is finding work and starting a career. For some, the transition is more straightforward. Military pilots, for example, have a leg up with all the hours they have logged during their service time. The move to civilian pilot works out for many. 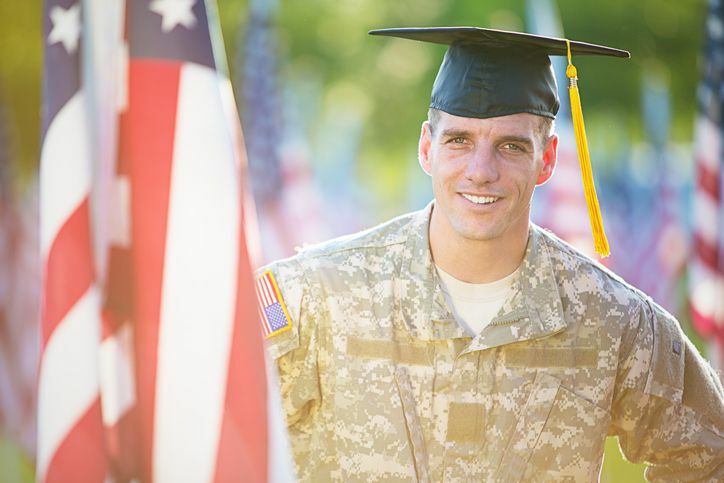 However, if you find yourself with less of a perfect match waiting for you after your discharge from the military, there are ways to sort through the options out there to find a rewarding career that will build upon and value your military background. Here are some tips on finding the best employment opportunities and jobs for veterans after the military. You don’t have to be a military pilot or physician to find a career that can utilize your military training and experience. There are many occupational specialties that will help with finding jobs for veterans. IT is a great example. With the military incorporating more and more information technology into its operations, those trained directly with IT skills, as well as those who picked some up along the way, can leverage that experience when looking for jobs after the military. The job outlook for information security analysts1, just to take one example, is expected to grow by 28 percent over the next several years. This concept can apply to many other fields as well, from healthcare administration to engineering. When looking for jobs for veterans following your military service, try not to limit yourself by thinking too much in terms of military work translating directly into specific corresponding jobs. As you know, the military equips its people with far more than specific job skills. Things like leadership, problem-solving, team building, and communication are highly marketable in today’s economy and can help you find work that values these skills. You also want to think about your interests and where you want your career to take you going forward. If the job you did in the military is what you want to do in civilian life, then great. If not, don’t worry. There are a lot of options out there. Leadership and other skills you acquired or strengthened in the military will help you along the way as you build other technical skills related to the job. Where Are the Gaps in Your Skills? When you have an idea of the kind of work you want to do, either by thinking about the skills you have, the skills you want, or the work that you want to do, you then need to think about how to address any gaps that exist between where you are and where you want to be. That might involve using your military benefits to go to school to get the training you need in your chosen field. There are programs that work with veterans to help them find jobs after the military that will be rewarding and offer opportunities for growth and advancement. One of the many benefits of technical schooling is that you can incorporate real-world experience into your education. For example, our instructors bring years of industry experience into the classroom so students gain from their professional insights, while also offering potential connections to others in the industry. While you’re in school, look into jobs with companies in your future field. Even if they are entry-level positions, it will help you get experience and make connections with companies that hire people with the degree that you are pursuing.